Captain Salas states he was present in March of 1967 at Malmstrom Air Force Base in Montana when a large, saucer-shaped craft at a very close distance was reported to him at the same time as numerous nuclear missile warheads were deactivated. Could this have been a message from extraterrestrial beings not to engage in nuclear conflicts? Why have this and many other UFO incidents reported by high-ranking officials not been given major news coverage? Don't miss Capt. Salas' excellent essay below, and then visit the links listed in the "What You Can Do" section at the end for more on this fascinating topic. Note: We were threatened with a lawsuit by a certain individual to take this webpage down. I refused, and thankfully we did not have to deal with a lawsuit. On March 25, 1967, I woke up groggy from my 24-hour "tour in the hole," as we referred to duty in the underground capsule. As I recall that morning, I picked up the Great Falls Tribune and read accounts of UFO reports around the area. Note: For Captain Salas' background and a much more detailed description of his personal experience with the above event, click here. For personal research he later conducted into this astounding incident, read on. The following is an accounting and assessment of the unique and fascinating period in the history of the UFO phenomenon involving the Malmstrom AFB (Air Force Base) incidents of 1967. It is based in part on Dr. Roy Craig's own handwritten notes, and excerpts from his book, "UFOs – An Insider's View of the Official Quest for Evidence." In addition, actions by Lt. Col. Lewis Chase, Malmstrom AFB, Base UFO Officer, will also be reviewed. And, since I was on station and a witness to one of the incidents, this essay started with a very brief description of my own recollection of the facts of these significant events. Fowler had been assigned the title of an "Early Warning Coordinator" for the group by virtue of the fact that he was an investigator for National Investigations Committee on Aerial Phenomenon (NICAP). He was also on the Sylvania Minuteman Production board in support of their contract for the Minuteman Missile ground electrical systems. Craig received his Ph.D. in physical chemistry. In 1966 he was an Associate Professor at the University of Colorado when the university was awarded $500,000 by the Air Force to do a scientific study on the UFO phenomenon. Craig had no experience or training in investigative procedures and only had a passing interest in UFOs. He knew little of the history of the phenomenon when he began working with the group. Yet, he was assigned as one of three principal investigators for the study. "My assignment would be to investigate the physical aspects of current UFO reports, working with a staff psychologist, who would study the psychological aspects of the report… My associate would look into the minds of the persons reporting the sightings." So, even before looking into cases, Craig was tasked to work with a psychologist. The clear implication here is that the group leadership had a pre-disposition to thinking that the reports of UFOs could be explained as delusions of the mind. In addition, he had stipulated to Condon that he would accept the assignment if he did not have to deal with any classified information. "If an investigation led to a requirement for access to secret information, which seldom happened, I turned the case over to another member of the project and accepted his judgment regarding the extent of UFO pertinence to the case." "After Colonel Chase and I had exchanged pleasantries in his office, I asked him about the Echo incident. The Colonel caught his breath, and expressed surprise that I knew of it. 'I can't talk about that.' … If I needed to know the cause of this incident, I could arrange through official channels, to see their report after completion of the investigation. … Although local newspapers carried stories of UFO sightings which would coincide in time with Echo, Colonel Chase had assured me that the incident had not involved a UFO. … I accepted the information as factual and turned review of Major Schraff's report (on the Echo Incident) over to Bob Low, who had received security clearance to read secret information related to the UFO study." Low, in turn, had to interface with his Air Force liaison in Washington, Col. Hippler. A portion of the memo he wrote to Low is shown here. Low's note at the bottom of this handwritten memo states: "Roy, I called Hippler and he said he would try to get this, but he suspects it's going to be classified too high for us to look at it. Says he thinks interference by pulses from nuclear explosions is probably involved." The tone of this note indicates that Low was simply accepting this rationale for classifying the missile shutdowns as a non-UFO event. According to records of Dr. McDonald, Robert Low never followed up on this request. If Low had followed up on his request and asked for more details, such as the possibility of nuclear explosion EMP (electromagnetic pulse) from the Air Force, he might have discovered that the U.S. did not test any nuclear weapons in the period from March 10 through April 4, 1967; the time period of the shutdowns (source: D.O.E. Report DOE/NV-209 rev. 15, December 2000, U.S. Nuclear Tests 1945 – 1992). Craig's notes indicate that he knew the names of many individuals whom he could have interviewed with respect to "rumors" of UFO involvement in the missile shutdowns. There were civilian representatives from Sylvania and Boeing who knew the sources of the "rumors" of UFOs. Their names had been given to him by Fowler. When they contacted Air Defense Command ground control (GCI) at Ft. Worth, they confirmed that they had radar contact with both the object and his aircraft. As the RB-47 continued north toward Kansas, the object appeared at the 11 o'clock position of the aircraft. Suddenly the object started closing on them. As it approached it accelerated at high speed and passed directly in front of the RB-47. The object then stopped and hovered in mid-air about ten miles from the aircraft's low 2 o'clock position. Chase had asked Craig and Major Quintanilla, head of Blue Book in 1967, to check if there was an incident report in the Blue Book files during their meeting of June 12. Quintanilla reported that there was no file of the incident. Later, after completion of the Condon report, a "summary" report of the incident appeared in the Blue Book files. Dr. James McDonald had found that the report of this incident had been classified during Craig's search for it. The Air Force essentially admitted to McDonald, after the termination of the study, that they indeed had some "classified" UFO incident reports that were not made available to the Condon Committee investigators for the study! Soon after the Condon Committee began work in earnest, they convened a meeting with the Air Force at the University of Colorado on June 12, 1967. By this date, the Malmstrom UFO incidents had taken place and Lt. Col. Chase had been involved with the handling of those incidents. The Air Force had established "special contacts" for UFO matters at some of their bases. Those contacts were called Base UFO Investigators and were "requested" to attend this meeting by Major General Otto Glasser, Assistant Deputy Chief of Staff of the Air Force. In another paragraph he stated: "It was also quite clear that, for the study to be effective, there is almost total dependency upon base UFO officers to sort the multitude of reports and to identify those cases worthy of detailed examination." Apparently the Air Force was going to be able to choose how they would be investigated. The last paragraph of his trip report reveals much about how the Condon Committee and the Air Force were intending to orchestrate this program. "Although the University study has approximately 8 months to run, and barring any dramatic events, the conclusions in the initial formal report will most likely read as follows: a. There is no evidence to support a hypothesis that extraterrestrials have visited earth. b. Certain events have occurred that are difficult to explain due to lack of conclusive data and/or instrumentation and state of the art investigative procedures." He concluded by saying, "However, it is reemphasized that there will be no big change in the UFO program, unless it is a civilian/military sharing of charges of concealing information from the public. The program for some lengthy period will remain under Air Force control due to the dependency upon Blue Book files and individual base UFO officers." By this time, Chase had already been clued in on how the Air Force wanted the UFO question handled. Chase was Chief of the Operations Division at Malmstrom AFB during the missile/UFO incidents in 1967. On March 16, 1967 Echo Flight was disabled while UFOs were observed near the missile launch sites by multiple witnesses. The Air Force considered this incident one "of grave concern to this headquarters." Four months later word had filtered back to TDET that there had been some equipment problems during the March 24th sightings. They sent an inquiry to Chase. It stated that "Our office has been informed that during the sightings there were equipment malfunctions and abnormalities in the equipment. One individual stated that the USAF instructed both military and civilian personnel not to discuss what they had seen, as it was a classified government experiment. Request information on the validity of such statements. If some type of experiment did occur on or about 24 March 1967, please advise." Within a few days, Chase replied. "This office has no knowledge of equipment malfunctions and abnormalities in equipment during the period of reported UFO sightings. No validity can be established to the statement that a classified government experiment was in progress or that military and civilian personnel were requested not discuss what they had seen." 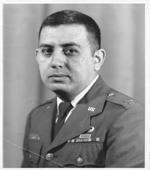 In August 1966, Lt. Col. Robert Hippler, representing the Air Force Office of Science and Technology and serving as the study group's contact with the Pentagon, stood before the highly educated group Edward Condon had selected to participate in the study and said, "You see, first of all, we (the Air Force) have not charged you, and you have not promised, to prove or disprove anything." Roy Craig had refused to look at any cases which might involve a security classification. He simply bought into Chase's explanation and did no further investigation of an incident that was referred to him by credible sources. Therefore, one of the most important cases, the Malmstrom AFB missile shutdowns, which could have had a major impact on the results of the study, was not even considered. As has been stated many times before, The Condon study was a whitewash of the UFO "problem," and that paint job was bought and paid for by the Air Force. This was a critical period in time on the question of public disclosure of information held by our government about the phenomenon. As a result of the "findings" of the Condon Study, the Air Force took and has ever since taken the position that the phenomenon has no bearing on our national security interest, and therefore no relevance to the Air Force or any other government agency. Therefore, they claim, they no longer investigate UFO reports. Inform your media and political representatives of this important information on nuclear missile warheads shut down by UFOs. To contact those close to you, click here. Urge them to explore what's really going on with this Malmstrom AFB incident and with the UFO question in general. Read concise summaries of revealing major media reports on UFOs. For a UFO research website recommended personally by Capt. Salas, click here. Spread this news on nuclear missile warheads shut down by UFOs to your friends and colleagues by email and on social networking websites, so that we can fill the role at which the major media is failing. We can make a difference.